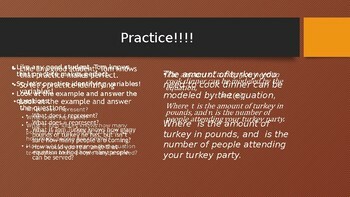 Tom Turkey Math Variables! Thanksgiving Fun! 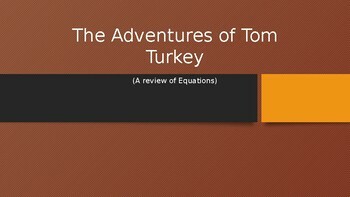 A fun filled power point featuring Tom Turkey who is trying to make it home for thanksgiving dinner by getting out of math detention so he can finish making thanksgiving preparations. 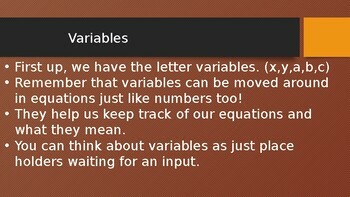 In order to do so he must solve abstract equations and rearrange them for specific variables. Each equation allows kids an opportunity for group work.